When the latest Stampin' Up! Occasions Catalogue came out, I fell in love with this pretty set, Painted Petals. 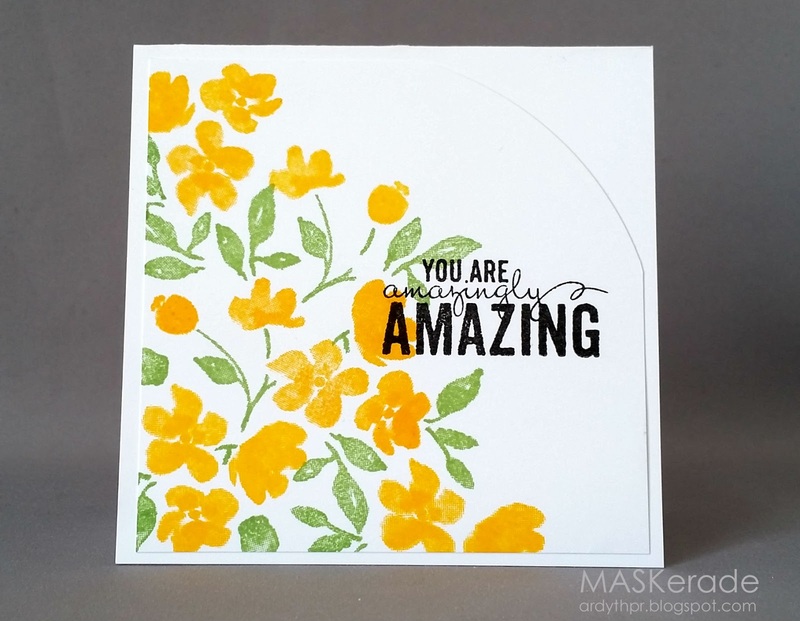 It has a beautiful watercolour look and you can use stamps to build different looks. I played around for a while and came up with these two pretty, spring (oh, please, please get here soon!) cards. As much as you are wishing for Spring to arrive, we are dreading the moment ! Your card are so beautiful! Love the watercolour look. Two lovely cards Ardyth. Love the spring-like colours of the flowerswith the strong sentiments.....very effective. These are beautiful! I agree, spring can't get here soon enough. Ditto the Spring thing... ugh. These fabulous flowers have given me a little warmth though... thank you! Love both the cards Ardyth and I love doing water color. I think about all of you in the blustery winter weather and am grateful I moved to the beach from the mountains. Stay warm. Gorgeous cards Ardyth! Beautiful designing! Love them both! Definitely bright and cheerful colors! Makes me think Spring too! Love the pink, love the yellow! Love the pops of black! The stamps do create a soft and pretty water colored look (without the mess & grief!). Love your sweet posies...just adorable. These cards are shouting for spring Ardyth! Gorgeous! Those really are gorgeous flowers and I like that you can use just one of build a gorgeous bouquet. Love these..so fresh and fun! Lovely cards, they make me long for spring even more!! OMG, you're really selling me on this set. Here I go again, spending money on a pretty floral set! But then I already ordered the matching embossing folder. It was probably inevitable.